A/B testing and experimentation tool. Run cross-channel experiments choosing custom segmentation and delivery based on many different dimensions. Easy UI for A/B and multivariate experimentation, includes events or visual tags for non-technical implementations. 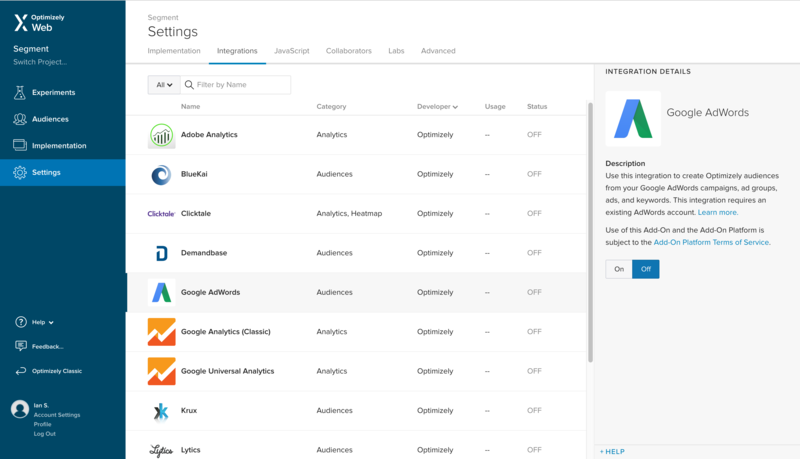 Additional integrations available inside of Optimizely to pull in contextual data to experiment against. 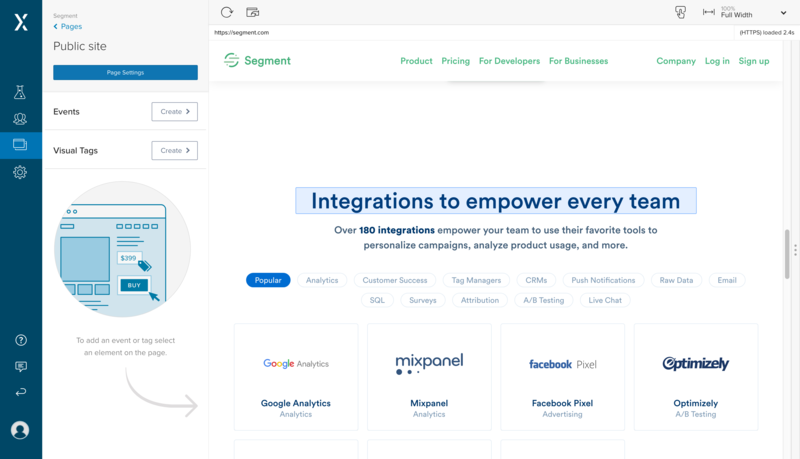 Segment .track calls are automatically sent to Optimizely as potential conversion events or segmentation criteria for your experiments. Additionally, Segment automatically generates a .track call when an Optimizely experiment runs, and sends these “Experiment Viewed” events to other downstream tools connected to your Segment account. 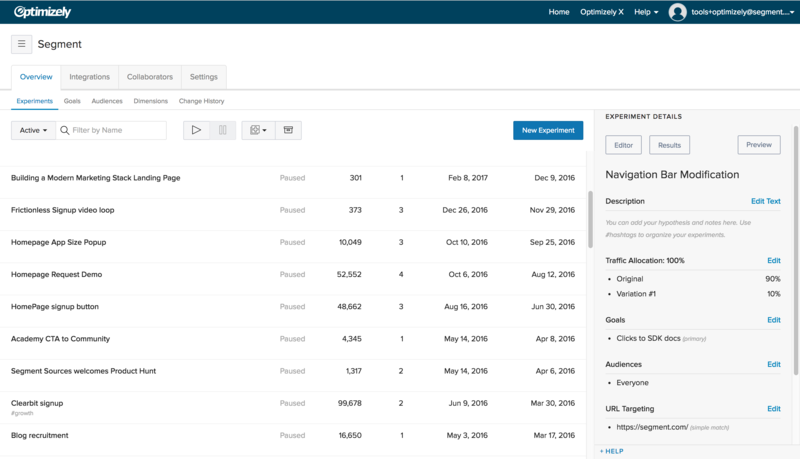 This lets you extend an experimental message to be consistent in downstream email marketing tools, or do deeper funnel analysis in analytics tools or your data warehouse to see the full impact of an experiment.